I think it is safe to say that we have never seen so many new beers in Sweden during one single year as we did in 2012. 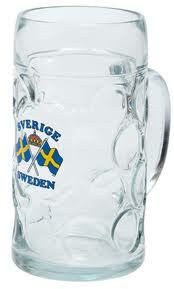 I have more than 400 new Swedish beers on the list and I am not even sure it is 100%. With some help from The Pilgrim and The progress the list will be more updated. (Thanks to everyone on Ratebeer that helped getting the list more up to date!). It is an open list so if you want to contribute feel free to do so. The list is very much inspired by the Danish list that Peter Myrup Olesen makes every year on his site beerticker. Last year he listed as much as 756 new Danish beers and that is all time high for Denmark as well. Excellent work Peter as always with that long list! The Norwegian beer blogger Knut Albert listed 220 new norwegian beers last year. The beer scene in Noway is impressive. In total that makes it about 1 400 new Scandinavian beers last year. I also made a summary of Swedish breweries and got more than 100 on the list. That is a milestone indeed. Update: I got a comment from Per: “a quick check on Ratebeer reveals that around 203 new Finnish beers were added [in 2012] (excluding ciders and contract brews brewed abroad). There are 18 Icelandic, 15 Greenlandic and 12 Faroese. For the same reason I would not count the 8 beers from Omnipollo as Swedish (still total number should be > 400). Of the 756 new Danish beers on beerticker 20 are from Greenland or Faroe Islands and at the very least 120-160 are brewed outside of Denmark. True number from Denmark should be < 600. Total number from all Nordic countries is probably close to 1450.